On May 9, 2005, FUJIFILM Medical Systems USA, Inc. (Stamford, CT) announced the appointment of a new company President, Makoto Kawaguchi. As President, Mr. Kawaguchi is responsible for sales and service for the company's medical imaging, life sciences, and non-destructive testing products in the United States, as well as the worldwide research and development and marketing of the company's medical information technology (IT) solutions.Mr. Kawaguchi has more than 25 years of experience marketing Fuji products and, most recently, served as the Deputy General Manager of the company's Medical Systems Division. He holds a Bachelor's degree in International Economics from Hitotsubashi University in Japan. Recently, Mr. Kawaguchi discussed his new role with Applied Radiology . Applied Radiology: Coming into this new position, what do you see as the role of Fuji in the arena of imaging technology to date? Makoto Kawaguchi: Fuji has been a pioneer in digital X-ray technology; we started with high-end customers, such as large American healthcare institutions and teaching institutions all over the world. Now, as the price tag for our technology has gone down, we are more focused on the smaller-sized customer. With the introduction of SmartCR, which is the low-end device in our product portfolio, we have been fairly successful in this arena. I am very proud to say that we have shipped more than 33,000 computed radiography (CR) readers from the initial release and have received wide acceptance throughout the world. SmartCR alone has sold more than 10,000 units. AR: How does this new digital technology affect the imaging experience for the radiologist and for the patient? MK: Digital technology, together with certain system configurations, enables multiple users to see the radiographs at the same time throughout the entire department. For instance, when a patient is brought in to a trauma center, it is critical to make a swift, accurate judgment about necessary treatment. In such cases, X-rays can be taken at the trauma center and, even before the radiologist sees the image, the trauma surgeon can see the image and can make appropriate treatment decisions in a timely manner. AR: Do you foresee a time when radiology will become truly paperless? MK: Paper is used in many ways in the radiology department and in other departments throughout the healthcare institution. It would be hard for me to say if a completely paperless system would be feasible because the paper is used not only for image printing but for printing many other types of documented information, such as medical records or accounting information. AR: Then what do you see as the role of paper and film-based imaging? MK: In reality, even with the current level of penetration of digital technology, we see a lot of healthcare institutions, including smaller hospitals and free-standing clinics, that are still working on film. When a patient is referred to a larger institution that is running on a PACS, the large institution still needs to print data-including the radiograph and the diagnostic findings-to send back to the referring office that does not have a PACS. So, even institutions that have a PACS will still need to retain at least some film-based capabilities. AR: What is the next frontier for radiology technology development? MK: Efficiency is one thing that is very important. 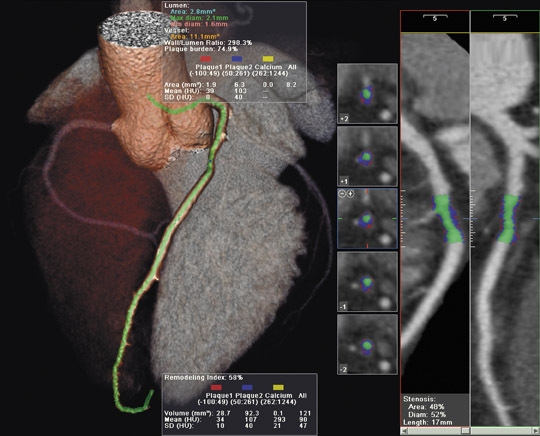 In the clinical arena, there are still a number of investigations going on looking into the possibility of less-invasive imaging, with less risk to the patient while maintaining diagnostic accuracy. Optical imaging is another area of development as well. AR: Where do you see Fuji heading under your leadership? MK: The combination of our leadership in digital X-ray imaging technology with our enterprise PACS solution, Synapse, I think, places us in a very good position to provide our customers with a total medical information technology solution, not necessarily focusing on X-ray imaging alone. We will cover all other imaging modalities in the Synapse environment as well as medical records. We are looking into the possibility of expansion into those areas. Eastman Kodak Company (Rochester, NY) introduced two new products at the Society for Computer Applications in Radiology (SCAR) 2005 Annual Meeting held in Orlando, FL, June 2-5: A new single-cassette digital X-ray capture system and a virtual colonoscopy application for its Directview PACS System 5. The new Kodak Directview CR 825 single-cassette digital X-ray capture system includes a 15-inch flat-panel touch-screen monitor and can support a variety of cassette sizes: 15 × 30 cm, 18 × 24 cm, 24 × 30 cm, 35 × 35 cm, and 35 × 43 cm. When using the 35 × 43-cm cassettes, the system can process up to 60 plates per hour. The system, which can store up to 2000 images, includes an integrated central processing unit and an internal uninterruptible power supply. The CR 825 system supports a variety of accessories and software, including Kodak's proprietary Directview EVP Software, the Directview Remote Operations Panels, and DICOM store and worklist management software. The remote operations panels allow patient/cassette identification, image review, and image distribution steps to be performed in the examination room. The EVP software was designed to present both high-contrast and wide-latitude data in a single image, there-by enhancing the consistency of images. "As the majority of healthcare providers move to digital image capture, we recognize that orthopedic practices, imaging centers, hospitals, and healthcare providers of all types can benefit from a compact, highly reliable CR system designed for midrange volume requirements," said Todd Minnigh, Kodak Health Group's Director of Marketing for the Americas. The CR 825 is expected to be commercially available this month. At SCAR, Kodak also unveiled a virtual colonoscopy application designed for use with the company's Directview PACS System 5. Kodak integrated the V3D Colon Software from Viatronix, Inc. (Stony Brook, NY) into the Kodak PACS. This combined solution allows the user to automatically process computed tomography (CT) images into 3-dimensional (3D) models for viewing, diagnosis, and report generation (Figure 1). When using the V3D Colon software, abdominal and pelvic CT images are obtained while the colon is inflated. A 3D model is generated automatically, allowing for "fly-through" viewing. Regarding the partnership with Viatronix, Michael Jackman, General Manager of Healthcare Information Systems and Vice President of Kodak's Health Group, said, "Viatronix has developed outstanding software for virtual colonoscopy applications that is a perfect fit with our strategy of providing the most advanced 3D imaging applications to our customers. The collaborative relationship we have with Viatronix has resulted in extending the capabilities of our PACS platform to help medical professionals realize improvements in workflow without the need for single-purpose workstations usually required to view colonoscopy images." Kodak's application will be available as either an optional enhancement to the Directview PACS System 5 or as a dedicated workstation beginning in the third quarter of 2005. Technology and Industry: A conversation with Makoto Kawaguchi, President of Fujifilm Medical Systems USA, Inc.; plus, new prod. Appl Radiol.